With the elegant 11th century Rajarani temple in the backdrop, the annual national Rajarani music festival got underway on the sprawling green lawns of the temple premises here on Wednesday. Showcasing the three distinct classical music traditions of India -- Hindustani, Carnatic and Odissi -- the three-day festival is the final event under Tourism Department’s Ekamra Utsav, which aims at promoting Bhubaneswar as a major destination for cultural tourism. This time, the festival was organised by the Sangeet Natak Akademi on behalf of the department. The festival commenced with Odissi vocal by renowned music composer and Odissi Research Centre chief Ramahari Das and head of Utkal Sangeet Mahavidyalaya Bijaya Kumar Jena. They started their recital with ‘Mahimandana Tu Namara Marare’ written by Kavi Surya Baladev Rath set to Raag Margavihara and Tala Ektali in the Raganga phase. This was followed by ‘Aua Kaha Kara Dharibi’ written by Kavi Samrat Upendra Bhanja set to Raag Mukhari and Tala Jati in Bhabanga tradition. In Dhruba Padanga tradition, the Guru-Sishya duo presented a traditional composition ‘Prana Sajani Kehi Banchiba Jamini’ set to Raag Kedara Kamodi and Tala Tripata. This traditional ‘Prabandha’ was marked by elegantly rendered ‘Anibadha Alapa’ and ‘Swara Bistara’. This was followed by Pallavi set to Raag Khamaj and Tal Khemta. The next presentation was Chhanda, an important stream of Odissi music in which the duo presented a song ‘Are Babu Samaghana Tu Gale Madhubana’ written by Kavi Gopal Krushna based on ‘Batshalya Rasa’. The concluding item was Janana, a devotional rendering typical of Odissi music ‘Dinabandhu Daitari’ written by Kavi Banamali. The evening’s second artiste was Carnatic exponent O S Arun who with his mellifluous voice recited ‘Ganapati Vandana’ written by Muthuswami Dikshitar followed by two songs set to Raag Hansadhwani and Tala Aditala and Ragshree set to Aditala. The second evening of the Rajarani festival saw recitals by the doyen of Odissi music, eminent singer and musicologist Damodar Hota and performance by Ganesh and Kumaresh, the well known violin player duo who are a part of the Carnatic music fraternity. 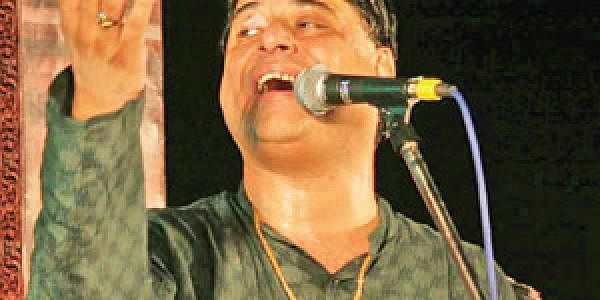 The music lovers who gathered in large numbers to witness the exponents perform were regaled by the impeccable elaboration of different ragas and musical patterns and musical renderings. The recitations were thematically captured on the canvas by painter Baladev Moharatha. The festival would come to an end on Friday with an ensemble of Mardala recital by expert Dhaneswar Swain and Hindustani vocal performance by legendary vocalists in the country - Rajan and Sajan Mishra.